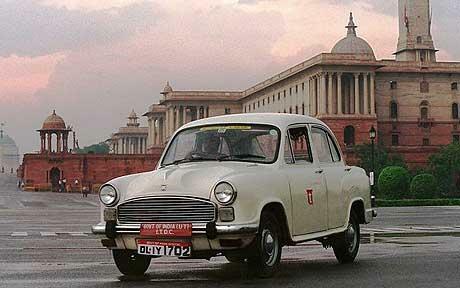 As we told you earlier, Hindustan Motors, a CK Birla owned company, will be bringing on BS IV enabled new Ambassador. Here we are with more information. The home grown company has introduced the new Ambassador Encore, with BS IV compliant Diesel at Rs 4.97,996 (ex-showroom price, Kolkata) under the "no refusal" taxi segment. Bookings for this will begin from today. The buyers in replacement taxi segment will be able to avail of a handsome reduction in the announced price, it added. West Bengal government has recently issues 2,000 permits under the first lot of "no-refusal" taxi segment. Another such announcement for 2,000 more permits shall be issued in November 2013. "It is a game-changing offer from HM which has always accorded highest priority to customers' needs and purchasing power," Hindustan Motors Managing Director & CEO, Uttam Bose said in the statement. The company made significant investment in terms of money and man hours to upgrade its BS III 1.5-litre diesel engine to BS IV standards and OBD 2 level. Yet, it has chosen not to pass on the expenditure to customers. Through value engineering and cost-efficient manufacturing, HM is able to offer Ambassador Encore at this amazingly low price without any compromise on quality, he added.